Do not install this pump if you feed water pressure is higher than 50 PSI ( maximum) , Never install the permeate pump after the booster pump. This item is final sales. no return, exchange, damage claim will be accepted. 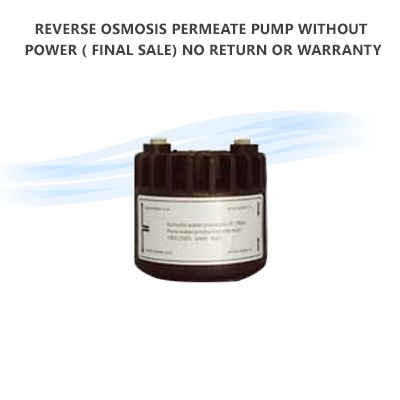 Permeate Pump is a non-electric device which uses only the hydraulic energy of the brine water (normally lost to the drain) to push additional purified water (i.e.“permeate”) into your pressure tank. 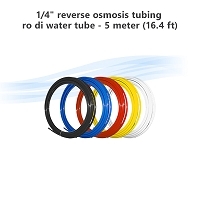 This increased pressure allows the RO membrane to perform as if within an atmospheric tank system. Use of a Permeate Pump improves membrane life, system performance, and provides other important benefits as detailed below. No electricity, this new technology is powered by internal water energy. 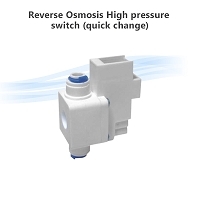 Reduces your reverse osmosis waste water up to 80% ONLY if you have low water pressure between 30 to 50 PSI. For those who they have 55 PSI inlet water pressure and up we recommend them not to buy this pump. Improves recovery rates by as much as 400%. For membranes rated 50 GPD. 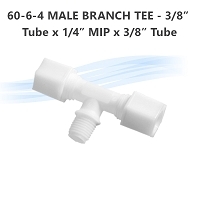 Effective for inlet water pressure as low as 30 psi to Max 55PSI. Any high pressure may damage the pump. Increases your membrane life & efficiency. 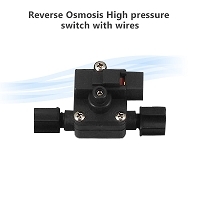 All permeate pumps make clicking sound while generating the internal pump pressure to the tank. 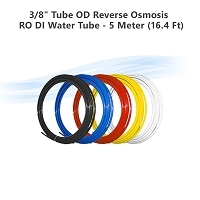 In typical RO systems, increased tank pressure is offset by decreased pressure across the membrane. 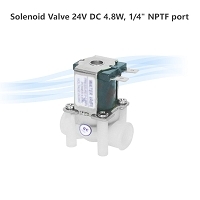 This decreased pressure causes a substantial decline in system performance and efficiency. A Permeate Pump enhanced RO system maintains full pressure across its RO membrane, even as tank pressure reaches up to 95% of line pressure. This insures both better water quality (maximum TDS reduction) and extended membrane life. In typical RO systems, increased tank pressure results in decreased recovery rates. A Permeate Pump enhanced RO system, by automatically minimizing back pressure, accelerates recovery rates (and reduces tank refill times) by up to 65%. So in a permeate pump enhanced RO system a 50 gallon per day membrane would produce up to 82 gallons per day! A Permeate Pump enhanced RO system, by reducing wastewater by up to 80%, helps conserve an important natural resource while extending component life. In other words, less water going through the system overall means less wastefulness and less component wear.